The Weinstein Company has released the first Woman in Gold trailer. Based on a true story, Helen Mirren stars as a Jewish refugee who fled Vienna during World War II and now seeks to reclaim a painting the Nazis stole from her family: “Partnering with an inexperienced but determined young lawyer (Ryan Reynolds), Maria embarks on an epic journey for justice 60 years in the making.” Based on the trailer, TWC saw the $100 million worldwide gross and 4 Oscar nominations for Philomena and ordered another round. Nothing wrong with that when it comes with a fun role for Mirren. Hit the jump to watch the Woman in Gold trailer. Daniel Bruhl, Katie Holmes, Charles Dance, Elizabeth McGovern, and Frances Fisher star. 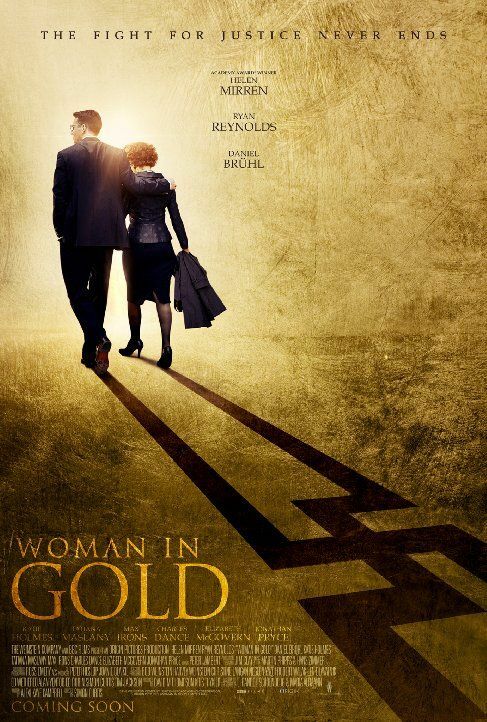 Directed by Simon Curtis (My Week with Marilyn), Woman in Gold opens April 3.